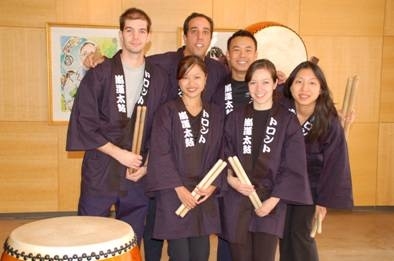 Arashido Taiko was formed in December 2006 by Erez van Ham. If asked Erez will say that he formed the group in order to promote Japanese culture and mutual understanding but, in actual fact, it was purely due to selfish reasons — he loves playing taiko and needed a medium to continue his habit after playing for a number of years in Japan! Arashido started out playing in a small practice studio with only 3 members. Word slowly got out about this new group and members started to join. 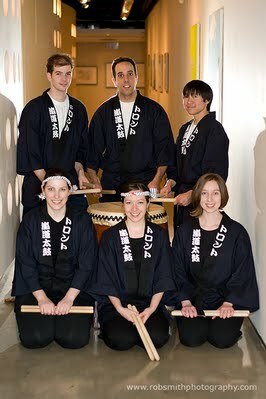 The group now has 10 core group members and we practice at a school near Leslie and York Mills in Toronto. Arashido means "The Way of the Storm" and is an apt name for a group that prides itself on passionate and powerful taiko playing. The group members, including the founder, participate and work for the group on a volunteer basis — all money earned goes back into the group to pay for equipment and practice space rental charges. The group is available for hire to do concerts, weddings, corporate events/functions, commercials, and corporate team building events, to name but a few. Arashido also provides family, children, and adult lessons.